South African consumers are being warned to hold in tight in 2017 as statistics released by the National Treasury show that consumer debt is continuing to rise. With interest rates increasing, unemployment on the up and the economy contracting, the South Africa is officially in a recession. With levels of personal indebtedness making bad enough reading before the effects of the recession have even been felt, National Debt Advisors are warning consumers to tighten their belts and control their spending if they want to keep levels of personal debt under control. If you’re already facing high levels of personal debt that could lead to a debt spiral, what steps can you take to regain control? Every debt is different. Some debts have higher rates of interest and more severe penalties attached if payments are not made. It’s essential you understand how every debt works. For example, if you have a short-term loan, you need to be aware exactly what will happen if you do not stick to your side of the deal, as this page from Wonga.co.za explains. You need to find similar information for every debt you have. You should write down the amount owing, the interest rate, the monthly repayment amount and the fees that apply. You should then calculate the most expensive debts and work out what your repayment priorities are. There are some monthly costs we cannot avoid. Utility bills, mortgage repayments/rent, food and transport costs all fit into this bracket. However, there’s also expenditure that can be reduced. Clothing, holidays, nights out and takeaways are all examples of discretionary costs. By reducing your outlay on these items it is possible to increase the disposable income you have at the end of the month to put towards your debts. Easier said than done you might think, but an increasing number of South Africans are working two or more jobs in a bid to pay off their debts and maintain their lifestyles. In fact, of 943 respondents to an Old Mutual survey, 37 percent admitted to having at least two jobs, with 13 percent having a job that was similar to their everyday job and 24 percent doing something completely different. If you want help getting your debt problem under control, you need to seek reputable and most importantly, free advice from a debt charity. The National Debt Advisors are a good place to start. They will help you take stock of your debts and provide the assistance you need to establish a budget and start to chip away at the capital amount. They can also negotiate with your creditors and provide advice about debt consolidation plans if appropriate. If you have a number of credit card debts then professional debt advisors can help you explore the option of transferring your debts to a zero interest deal. While you will have to pay an upfront transfer fee, avoiding the ongoing interest charges could well make this option worth your while. 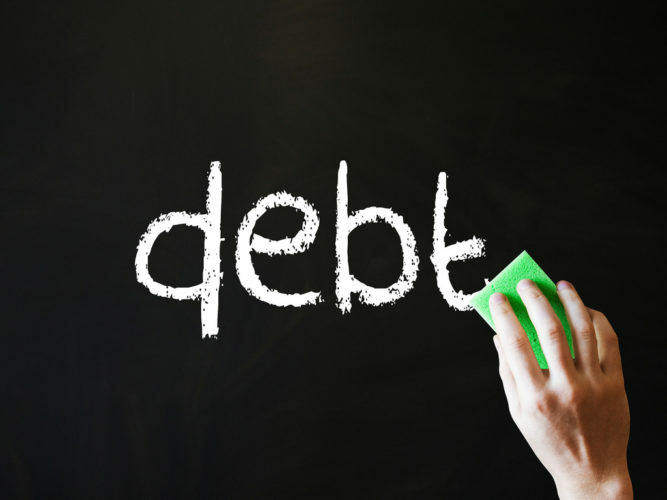 Have you managed to control your personal debt? How did you do it? Please share your experiences with our readers in the comments section below.